The NIRSA Flag & Touch Football Rules Book & Officials’ Manual was first published in 1983. Its purpose is to provide a standardized code of Rules, interpretations and officials’ mechanics for the sport of flag and touch football, and is sold through the NIRSA Education & Publication Center. The NIRSA Flag Football Editorial Board is responsible for updating and revising the biennial publication. 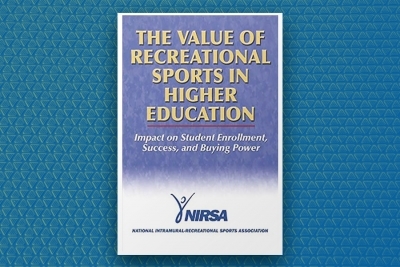 The Recreational Sports Journal (RSJ) is NIRSA’s scholarly publication, a repository of empirical, theoretical, and applied research in the field of recreational sports. Click through to find issues of the RSJ, guidelines for submission, and information on the annual RSJ award. The Council for the Advancement of Standards in Higher Education publishes standards for student programs in higher education. NIRSA’s Standards Committee works with the CAS Board to periodically review and update the standards relating to collegiate recreation. Members can find the most current versions of The Recreational Sports Programs: CAS Standards and Guidelines and The Role of Recreational Sports: CAS Standards Contextual Statement here. This information can also be found in the CAS Professional Standards for Higher Education, 8th edition (2012). This publication can be purchased from the online store on the CAS website. This publication has been used as an invitation from student affairs educators to their colleagues in other sectors of their institutions to engage in dialogue and planning for institution-wide student learning outcomes. It has become a frequent focus of professional development programs and workshops, and is the topic of many student affairs presentations. 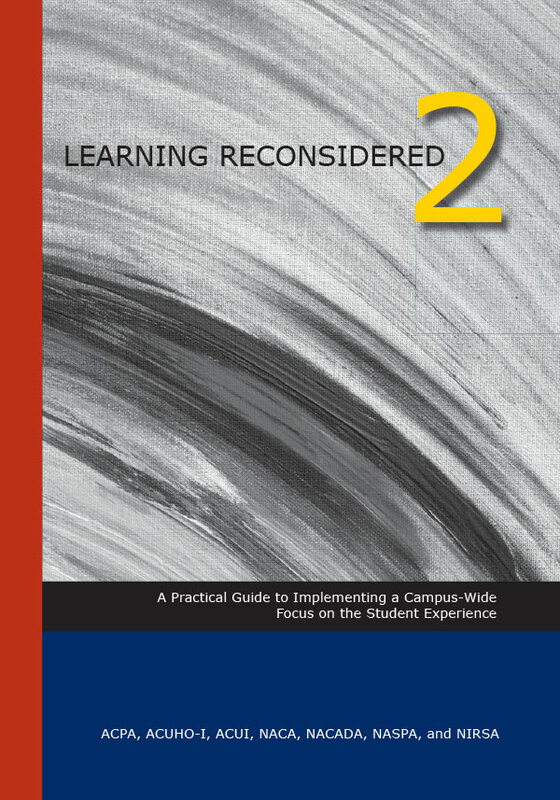 More than 10,000 copies of Learning Reconsidered: A Campus-Wide Focus on the Student Experience are in circulation on college and university campuses worldwide. The publication has been used as an invitation from student affairs educators to their colleagues in other sectors of their institutions to engage in dialogue and planning for institution-wide student learning outcomes. It has become a frequent focus of professional development programs and workshops, and is the topic of many student affairs presentations. Learning Reconsidered: A Campus-Wide Focus on the Student Experience is a blueprint for action. It shows how to create the dialogue, tools, and materials necessary to put into practice the recommendations in Learning Reconsidered. This companion book brings together new authors, discipline-specific examples, and models for applying the theories in the original publication to move beyond traditional ideas of separate learning inside and outside the classroom. 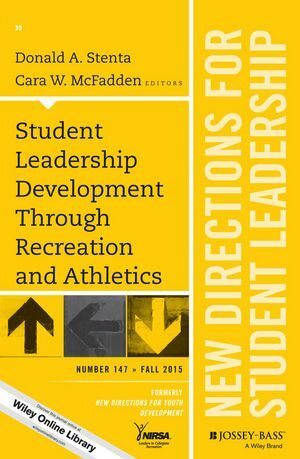 The Fall 2015 issue of the New Directions in Student Leadership series extends the conversation regarding leadership development that has been taking place among commissioners and other NIRSA members. The book includes a variety of conceptual frameworks, including the Social Change model of Leadership Development, practical approaches for creating leadership education initiatives, discussions of the difficulties students face transitioning from high school to college, and literature and resources for assessing leadership development occurring in recreation and athletics. 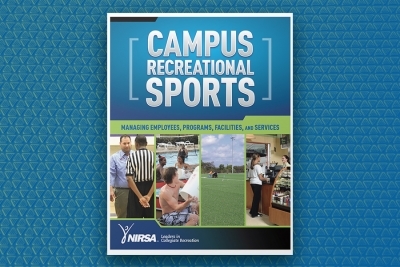 Collegiate recreation professionals can use this tool when looking to provide concrete, competency-based leadership development outcomes for their students who are engaged with campus recreation. The publications linked below were developed and distributed through a partnership with Human Kinetics. 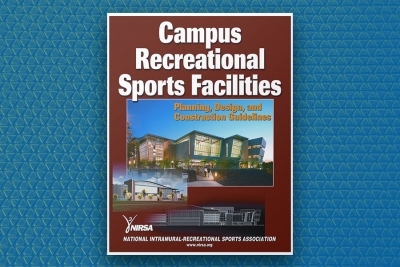 While the information may be a bit dated, the content may still be relevant to the campus recreation profession. At the NIRSA Education & Publication Center, hosted by health publisher Human Kinetics, you can browse our catalog of clinicians’ kits, rulebooks and training materials for college recreation professionals. Develop your existing programs or branch out. 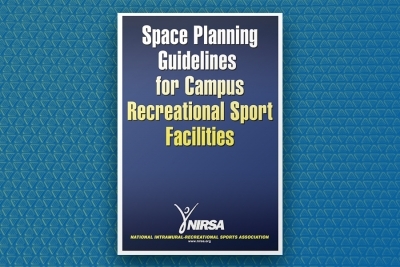 NIRSA proudly offers rulebooks, guides, and sports officials’ training materials to help you raise your collegiate recreation program to the highest standard in the field. 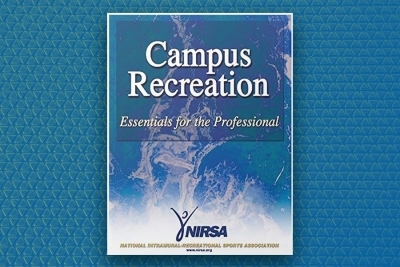 These texts are created by NIRSA committees consisting of the most dedicated professionals working in each sport or area of focus. NIRSA Institutional Members are entitled to a 15% discount on selected items! To receive the discount, just enter your NIRSA Institutional discount code in the appropriate box on the Shopping Cart page and click “Submit.” Discounted prices will be displayed next to individual product descriptions and in your shopping cart.